Well, it’s taken me a bit longer to finish my 50 Book Project than I planned but I keep plugging away! Although I’ve made hundreds of books over the past couple of years, many of them are exactly the same. 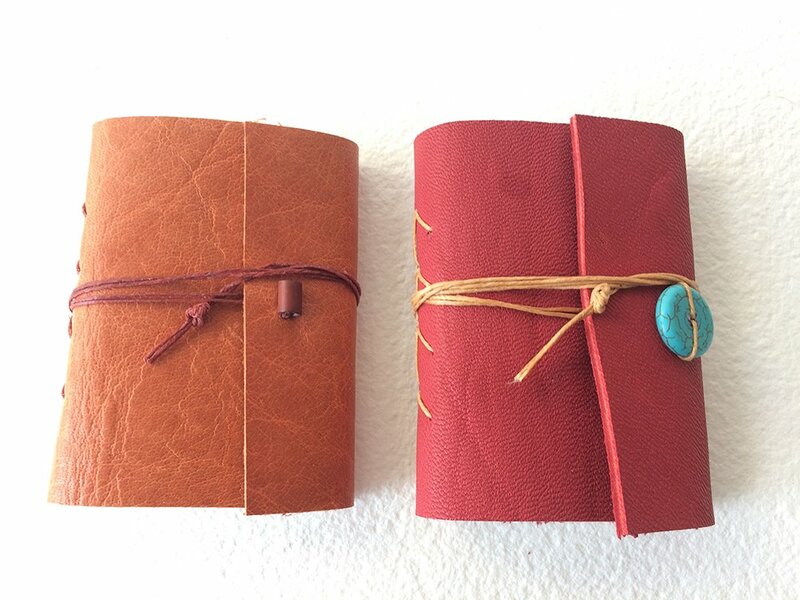 I really want to finish this project of making 50 different books to push myself to keep trying new things…. Here’s book number 39, Touching Arrows from the second volume Keith Smith’s Non-Adhesive Bindings. 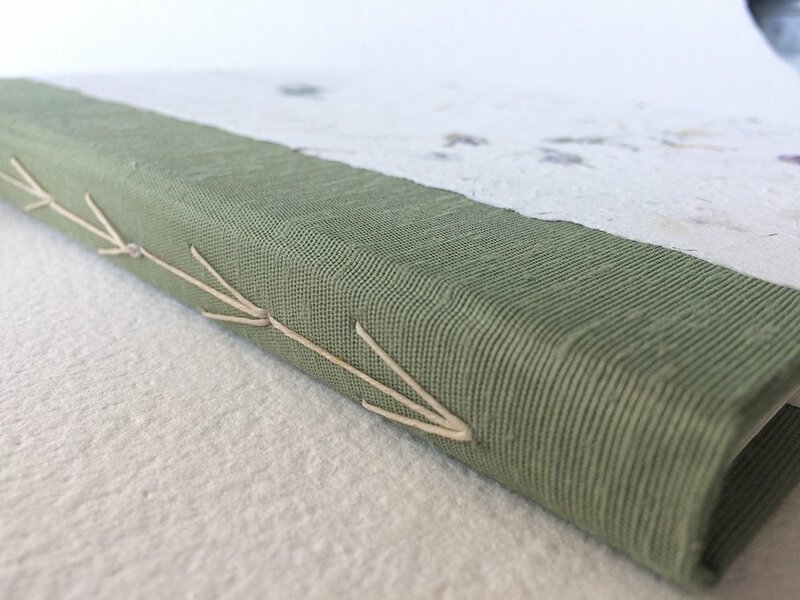 It’s a three signature binding that’s unusual in the sense that you sew the middle signature first and then sew the first and third signatures afterwards. But don’t let that intimidate you, it’s super easy and quick binding to sew. 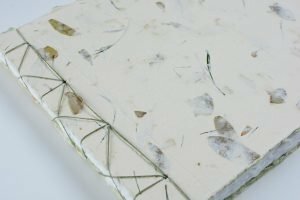 The first book has two hard covers with a Japanese book cloth spine and handmade paper cover. There’s no spine piece, just book cloth so it’s easier to punch and sew the sewing stations. 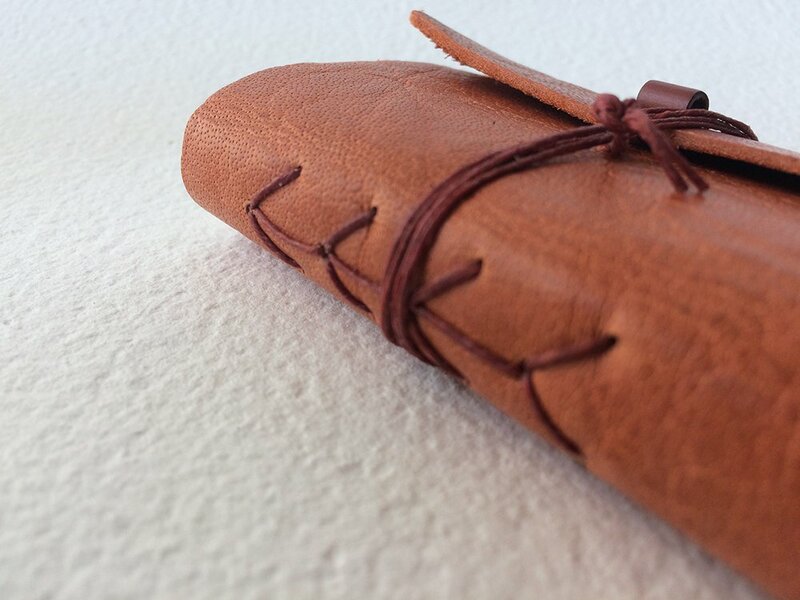 I also used this binding on some small leather pocket notebooks that measure just 2″ x 3″. I’ve already completed books 40 and 41, and will post them in the coming weeks. If you’d like to get regular updates, please sign up for my newsletter. I am so glad that you are continuing. This is so interesting and you have so many gorgeous books. It really is so motivating. Keep them coming!!! I agree. There are no other book artists near where I live, so online resources are my go to source. I love reading your newsletters and being inspired. Please do keep it up, and thank you.